Those who have made good faith criticisms of Alex Jones in the same way that Alex Jones himself makes good faith criticisms of those more popular than himself — like Barack Obama and Rush Limbaugh — are accused of being jealous of his success and of dividing the movement. As I pointed out in a previous article, by that logic, Alex Jones’ criticism of Barack Obama and Rush Limbaugh is motivated by his jealousy of their success because they are more popular than he is. It shows how phony that retort has always been, and how it betrays an uncritical devotion to a personality as opposed to an uncompromising search for truth. 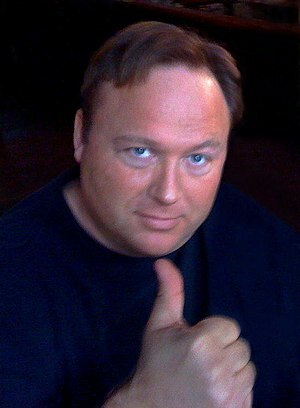 Now that Alex Jones has rightly come out and criticized Rand Paul’s endorsement of Romney as a “betrayal,” and asked Ron Paul to account for his presidential campaign decisions, those Alex Jones supporters who criticize others for questioning the statements and actions of prominent figures in the liberty community as “dividing the movement” are mostly silent about Alex Jones having done that, as one will see from perusing the comments at Infowars.com. As Alex Jones himself said, he should’ve heeded the words of those warning him since the end of 2011 that things weren’t right with the campaign. I was aware of this before Rand’s endorsement, and wrote the May 16, 2012 article, Dr. Stan Monteith: “I’m sure that they’ve infiltrated and neutralized Ron Paul’s political candidacy,” and the May 31 article, Was Ron Paul’s 2012 Republican presidential nomination campaign sabotaged from within? And there was my 2009 prediction that Rand Paul wouldn’t be a constitutional candidate, despite Infowars.com automatically flagging my comment for moderation on an article claiming he was a constitutional candidate at the time. Now let’s see if any prominent alternative media personality criticizes Alex Jones the way he criticized Ron Paul and isn’t raked over the coals by the Alex Jones double standard-bearers. Is Alex Jones jealous of the success of those he criticizes? One of the common tactics of those who don’t want to debate an issue on its merits is to shift the focus to the motives of the person discussing issues. One of the common tactics of fans of alternative media personalities is to suggest that those who raise any issues about them — especially their words and actions — is to say the person raising those issues are jealous of that person’s success. Lee Rogers of Oracle Broadcasting has been at the forefront of the alternative media in pointing out the tactics and fallacies engaged in by the many so-called alternative media fans who apply a double standard toward alternative media personalities they admire. By the logic of these critics, Alex Jones must be jealous of the success of Barack Obama, Rush Limbaugh, Glenn Beck and others, because they have become more successful than him. The real alternative media is waking up to these tactics, and to the actions and words of several prominent alternative media personalities being incongruent, like those of George Noory, who acts so affable and pretends to be a promoter of open discussion on many issues, yet is provably gatekeeping the HIV/AIDS scam. George Whitehurst-Berry, formerly of GCN, who broadcasted an hour before Alex Jones, and had the second-highest-rated show among online listeners, paid the price for opposing the germ theory of disease which was so ridiculously promoted with this April 24, 2012 article, claiming that GMO corn *may* be spreading the “AIDS virus,” simply because it *may* contain a protein associated with HIV. By that logic, carbon monoxide is the same as carbon dioxide, since they are similar, and I could safely breathe carbon monoxide. Nevermind that George Whitehurst-Berry has conducted 32 interviews that aired before Alex Jones’ show, thoroughly shattering the AIDS scam to bits. That doesn’t matter, since promoting fear about an unproven virus generates more clicks for greater advertising revenue. People are starting to wake up and demand that the “alternative” media be alternative.